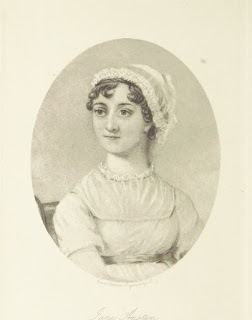 I am so excited to announce a new performance date for An Evening with Jane Austen. It is particularly thrilling for me, because the performance will feature additional material written by yours truly! Tickets are priced at £12-£18 and can be purchased here. NOTE: We are thrilled to report that this event is now sold out! Please click on this link to enquire about returns for the SOLD OUT Victoria and Albert Museum performance on 22nd April 2016. Enjoy a magical evening in the company of Jane Austen's most memorable characters, from the comic absurdity of the Dashwoods to the heartfelt passion of Wentworth and Anne, not to mention the charming duplicity of the notorious Mr Wickham! Set in the beautiful surroundings of the V&A’s Norfolk House Music Room, the evening will consist of duologues performed by actors Caroline Langrishe (Lovejoy) and Adrian Lukis (Pride and Prejudice), alongside regency-era musical entertainment from Classical Soprano Rosie Lomas and harpist Valeria Kurbatova. Featuring extracts from Pride and Prejudice, Mansfield Park, Northanger Abbey, Sense and Sensibility and Persuasion, this will be an evening to remember!